It’s a busy world. Isn’t it? All of us are working hard to make our life even better day in and out. We wake up, travel to work, work for any number of hours, come back and go to sleep and repeat so that we can reach our goal(s) every day. See what a perfect life we have, relaxed, calm, easy going, and serene. But in the process of our journey of pushing ourselves every day, we slowly see ourselves getting into stress. The days suddenly seem longer, the family is getting less of our time, so we push ourselves harder. This increased stress can lead to what we hear often from Doctors as Hypertension. 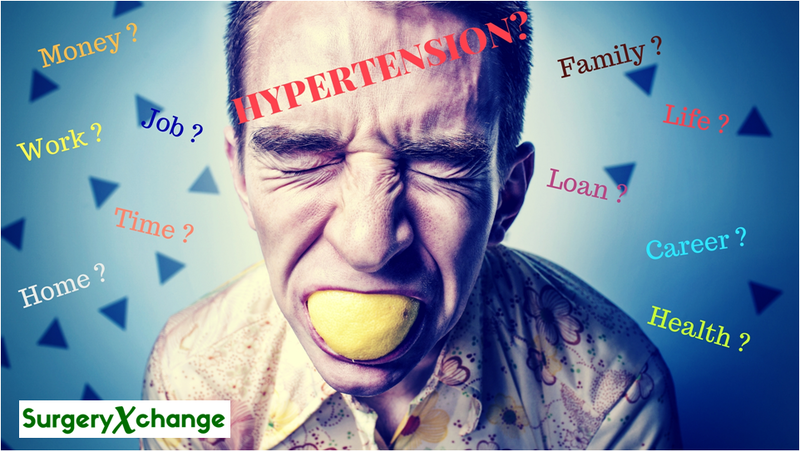 What is Hypertension and it’s causes? Hypertension is often called as the silent killer and rightly so because elevated blood pressure increases the load on the heart. According to American Heart Association, 1 in 6 people suffer from increased blood pressure and are unaware of it. Now let’s see what`s blood pressure, so when the blood is pushed inside the heart, the heart pumps the blood throughout the body and the pressure with which it is done or the process takes is called blood pressure. 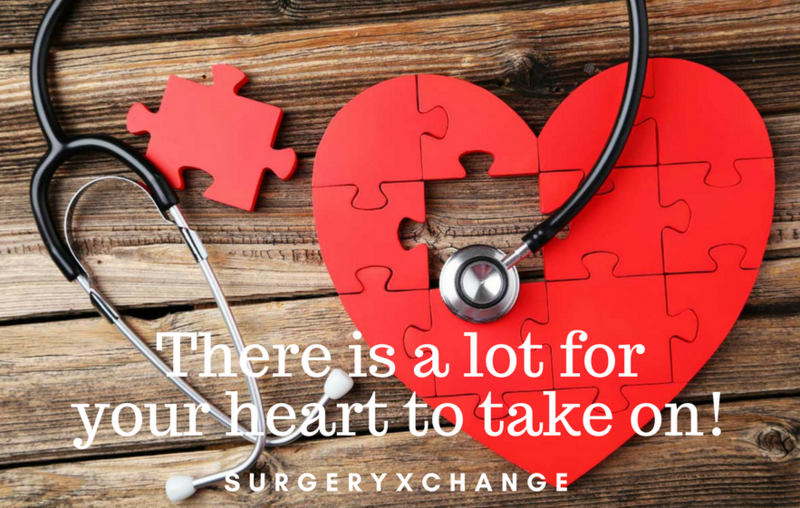 Now hypertension increases the work of the heart as the blood vessels become stiff thus increasing the pressure in the valves. This further causes stroke, Kidney damage, and even heart failure. Moderate to a severe headache, pulsating in nature, often at the back of the head. Chest pain, especially at exertion. An Irregular and loud beating of the heart. So, how high is too high? Blood pressure is measured in mm hg means millimeters of mercury. Over years, various studies have been carried out to identify what should be your optimal systolic and diastolic blood pressures. It is important to recognize the warning signs and act if any of the symptoms listed above appear. However, often it is too late by the time the warning signs appear and the persistent increase in Blood Pressure can damage kidneys, heart, eyes, and brain. However, it is even more important to identify if you are at risk for Hypertension. Age: the older you are, the higher the chance of developing hypertension. Though, Sadly Age is No Longer a Bar in Today’s Era and Lifestyle. Gender: Young males are more prone to develop elevated pressure until the age of 45. Post 60, women are at a higher risk. Family History: If you have a parent, sibling or close relative who has high blood Pressure then chances are again very high that it may pass to their next generation too. Sedentary Lifestyle: Irregular physical activity or no physical activity. Sitting, reading, sleeping for a long duration. Unhealthy Diet: Not getting proper carbohydrate, proteins, vitamins supplement in the food or skipping the meals often. Obesity: Abnormal body mass index (BMI) is an independent risk factor to develop hypertension. Lifestyle: Irregular sleep, skipping meals, too much time in front of gadgets. Alcohol or Smoking: Regularly engaging in smoking or drinking can contribute to damage arteries. If detected early and kept in control, hypertension and its complications are easily manageable and patients can live a normal, symptom-free life. Eat healthy foods: Eat a healthy diet focus more on fruits vegetables, whole grains, poultry, fish and low-fat dairy foods also try to get plenty of potassium, in your diet. Eat less saturated fat and Tran’s fat. Decreasing the salt content: A lower sodium level will help in reducing diabetes or chronic kidney disease. Maintain a proper BMI: Keeping a healthy weight can help you control your high blood pressure and lower your risk of related health problems. Also, it increases the fatigue in the body urging the body to do more work. Increase physical activity: A regular visit to the gym or to the nearby park can increase your physical activity further enhancing your lifestyle. Quit smoking: If you smoke, ask your doctor and your family member to help you quit the same. Manage stress: Reduce stress as much as possible. Regular physical activity, yoga and plenty of sleep can help you achieve the same. Periodic monitoring of blood pressure: Get help from your family member to check your blood pressure at home. There is a different compact instrument which can be used to check the same. Precautions in pregnancy: Although there is no cure as such for chronic hypertension, it is always suggestive to be healthy during pregnancy. Taking proper care of you in the best possible way. Thiazide diuretics. Also called water pills, these are medications help you to eliminate sodium and water further reducing blood volume. Thiazide diuretics are often the first, but not the only, choice in high blood pressure medications. Beta blockers. This medication increases the workload on your heart and also manages abnormal heart rhythms. They protect the heart and open its blood vessels, causing your heart to beat slower with less force. Calcium channel blockers. They help you to relax muscles of your blood vessels making the heart rate steady. Generally, the trend shows that calcium channel blockers work better for elderly people. Renin inhibitors. Renin, an enzyme produced by your kidneys that starts a chain of chemical steps which in a result increases blood pressure. If you have a high blood pressure then it is recommended to go for a combination of low dose medication as it will be effective in the long run, finding a good combination of drugs also helps you to control the blood pressure under all times. But for the best result, it is always recommended to see a doctor on a regular basis as he/she can address the issues in a much broader sense and will also help you to be in your limits.